New Regent Street, Christchurch. The New Zealand Heritage List identifies New Zealand's significant and valued historical and cultural heritage places. Continued under the Heritage New Zealand Pouhere Taonga Act 2014, the List is maintained by Heritage New Zealand. Preface: The Charter for the Conservation of Places of Cultural Heritage Value (1992) was adopted by the ICOMOS, New Zealand, 4 Oct., 1992. This charter establishes principles to guide owners, authorities, tradespersons and professionals in conserving places of cultural heritage value in New Zealand, where the Treaty of Waitangi recognizes the indigenous Maori and Moriori as exercising responsibility beyond current legal ownership for their treasures, monuments and sacred places. The charter sets forth general principles and calls for conservation methods that show the greatest respect for, and involve the least possible loss of, material of cultural heritage value. It also outlines conservation processes and provides a list of definitions of conservation terms. The ICOMOS New Zealand Charter, Te Pumanawa o ICOMOS o Aotearoa Hei Tiaki I Nga Taonga Whenua Heke Iho o Nehe is a set of guidelines on cultural heritage conservation, produced by ICOMOS New Zealand. The NZ Charter is widely used in the New Zealand heritage sector and forms a recognised benchmark for conservation standards and practice. It is used by central government ministries and departments, by local bodies in district plans and heritage management, and by practitioners as guiding principles. The Historic Places Trust / Pouhere Taonga, the Ministry of Culture and Heritage and the Department of Conservation use the NZ Charter to guide their heritage conservation work. It was used by Ngai Tahu in their Deed of Settlement and the Lotteries Grants Board uses it for guidance in its deliberations. 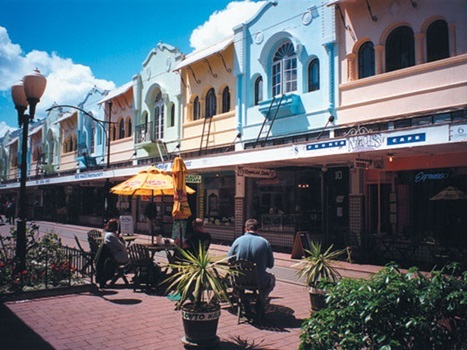 It has been adopted as heritage policy by Christchurch City Council, Wanganui and Whakatane District Councils and is used as a standard reference document in District plans by Auckland, Christchurch, and Hutt City Councils, Auckland Regional Council, and by a number of other local authorities. The NZ Charter covers the purpose, principles, practice, and processes of conservation. It also provides useful definitions of the main conservation terms such as preservation, maintenance, restoration and so on. Copies are available from the ICOMOS New Zealand Secretariat. NZ Charter Revision 2010. The revised Charter replaces the 1992 and 1995 versions and should be referenced as the ICOMOS New Zealand Charter for the Conservation of Places of Cultural Heritage Value (ICOMOS New Zealand Charter 2010). This revision incorporates changes in conservation philosophy and best practice since 1993 and is the only version of the ICOMOS New Zealand Charter approved by ICOMOS New Zealand (Inc.) for use. For the avoidance of doubt, the English text is the approved version of the charter when quoting the Charter text and definitions and for use in legal documents such as district plans. The Maori text is a translation of the 2010 Charter. ICOMOS, New Zealand, 4 Oct., 1992. Following the spirit of the Venice Charter 1966, this charter establishes principles to guide owners, authorities, tradespersons and professionals in conserving places of cultural heritage value in New Zealand, where the Treaty of Waitangi recognizes the indigenous Maori and Moriori as exercising responsibility beyond current legal ownership for their treasures, monuments and sacred places. It sets forth general principles and calls for conservation methods that show the greatest respect for, and involve the least possible loss of, material of cultural heritage value. It outlines conservation processes and provides a list of definitions of conservation terms. New Zealand retains a unique assemblage of places of cultural heritage value relating to its indigenous and its more recent peoples. These areas, landscapes and features, buildings, structures and gardens, archaeological and traditional sites, and sacred places and monuments are treasures of distinctive value. New Zealand shares a general responsibility with the rest of humanity to safeguard its cultural heritage for present and future generations. More specifically, New Zealand peoples have particular ways of perceiving, conserving and relating to their cultural heritage. Following the spirit of the International Charter for the Conservation and Restoration of Monuments and Sites (the Venice Charter 1966), this charter sets our principles to guide the conservation of places of cultural heritage value in New Zealand. It is intended as a frame of reference for all those who, as owners, territorial authorities, tradespersons or professionals, are involved in the different aspects of such work. It aims to provide guidelines for community leaders, organisations and individuals concerned with conservation issues. It is a statement of professional practice for members of ICOMOS New Zealand. Each section of the charter should be read in the light of all the others. Definitions of terms used are provided in section 22. Accordingly this charter has been adopted by the New Zealand National Committee of the International Council on Monuments and Sites at its Annual General Meeting on 4 October 1992.
provide visible evidence of the continuity between past, present and future. The indigenous heritage of Maori and Moriori relates to family, local and tribal groups and associations. It is inseparable from identity and well-being and has particular cultural meanings. The Treaty of Waitangi is the historical basis for indigenous guardianship. It recognises the indigenous people as exercising responsibility for their treasures, monuments and sacred places. 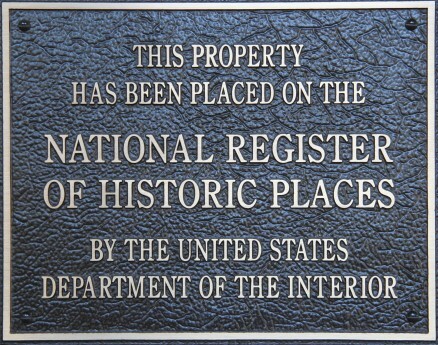 This interest extends beyond current legal ownership wherever such heritage exists. Particular knowledge of heritage values is entrusted to chosen guardians. The conservation of places of indigenous cultural heritage value therefore is conditional on decisions made in the indigenous community, and should proceed only in this context. Indigenous conservation precepts are fluid and take account of the continuity of life and the needs of the present as well as the responsibilities of guardianship and association with those who have gone before. In particular, protocols of access, authority and ritual are handled at a local level. General principles of ethics and social respect affirm that such protocols should be observed. the documentation of any research, recording and conservation work, as it proceeds. be fully documented and recorded. The evidence of time and the contributions of all periods should be respected in conservation. 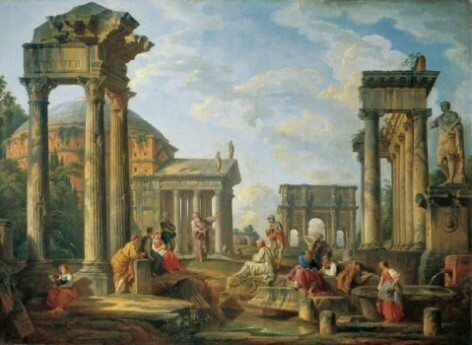 The material of a particular period may be obscured or removed if assessment shows that this would not diminish the cultural heritage value of the place. In these circumstances such material should be documented before it is obscured or removed. The historical setting of a place should be conserved with the place itself. If the historical setting no longer exists, construction of a setting based on physical and documentary evidence should be the aim. The extent of the appropriate setting may be affected by constraints other than heritage value. All places of cultural heritage value should be assessed as to their potential risk from any natural process or event. Where a significant risk is determined, appropriate action to minimise the risk should be undertaken. Where appropriate, a risk mitigation plan should be prepared. relocation provides continuity of cultural heritage value. A new site should provide a setting compatible with cultural heritage value. Invasive investigation of a place can provide knowledge that is not likely to be gained from any other source. Archaeological or structural investigation can be justified where such evidence is about to be lost, or where knowledge may be significantly extended, or where it is necessary to establish the existence of material of cultural heritage value, or where it is necessary for conservation work. The examination should be carried out according to accepted scientific standards. Such investigation should leave the maximum amount of material undisturbed for study by future generations. Where the contents of a place contribute to its cultural heritage value, they should be regarded as an integral part of the place and be conserved with it. Carving, painting, weaving, stained glass and other arts associated with a place should be considered integral with a place. Where it is necessary to carry out maintenance and repair of any such material, specialist conservation advice appropriate to the material should be sought. Records of the research and conservation of places of cultural heritage value should be placed in an appropriate archive. Some knowledge of place of indigenous heritage value is not a matter of public record, but is entrusted to guardians within the indigenous community. Conservation may involve, in increasing extent of intervention: non-intervention, maintenance, stabilisation, repair, restoration, reconstruction or adaptation. Where appropriate, conservation processes may be applied to parts or components of a structure or site. Re-creation, meaning the conjectural reconstruction of a place, and replication, meaning to make a copy of an existing place, are outside the scope of this charter. In some circumstances, assessment may show that any intervention is undesirable. In particular, undisturbed constancy of spiritual association may be more important than the physical aspects of some places of indigenous heritage value. A place of cultural heritage value should be maintained regularly and according to a plan, except in circumstances where it may be appropriate for places to remain without intervention. Places of cultural heritage value should be protected from processes of decay, except where decay is appropriate to their value. Although deterioration cannot be totally prevented, it should be slowed by providing stabilisation or support. Repair of material or of a site should be with original or similar materials. Repair of a technically higher standard than the original workmanship or materials may be justified where the life expectancy of the site or material is increased, the new material is compatible with the old and the cultural heritage value is not diminished. New material should be identifiable. Restoration should be based on respect for existing material and on the logical interpretation of all available evidence, so that the place is consistent with its earlier form and meaning. It should only be carried out if the cultural heritage value of the place is recovered or revealed by the process. The restoration process typically involves reassembly and reinstatement and may involve the removal of accretions. Reconstruction is distinguished from restoration by the introduction of additional materials where loss has occurred. Reconstruction may be appropriate if it is essential to the function or understanding of a place, if sufficient physical and documentary evidence exists to minimise conjecture, and if surviving heritage valued are preserved. Reconstruction should not normally constitute the majority of a place. Generalised representations of typical features or structures should be avoided. The conservation of a place of cultural heritage value is usually facilitated by it serving a socially, culturally or economically useful purpose. In some cases, alterations and additions amy be acceptable where they are essential to continued use, or where they are culturally desirable, or where the conservation of the place cannot otherwise be achieved. Any change, however, should be the minimum necessary and should not detract from the cultural heritage value of the place. Any conditions and alterations should be compatible with original fabric but should be sufficiently distinct that they can be read as new work. Interpretation of a place may be appropriate if enhancement of public understanding is required. Relevant protocol should be complied with. Any interpretation should not compromise the values, appearance, structure or materials of a place, or intrude upon the experience of the place. structure means any building, equipment, device or other facility made by people and which is fixed to the land.